Welcome back to the Chops blog! Today we’ll be discussing practice pads. A practice pad is a device that replicates the feel and sound of a drum, but is much quieter. They make practice easy, quiet, and most importantly, bearable for others. You have many different options when selecting a practice pad, but with so many choices it can be difficult to select an appropriate pad. Choose a pad based on way it will be used, or the type of music you play. Some pads are versatile and can be used by all percussionists, while others are designed for specific activities such as marching music. 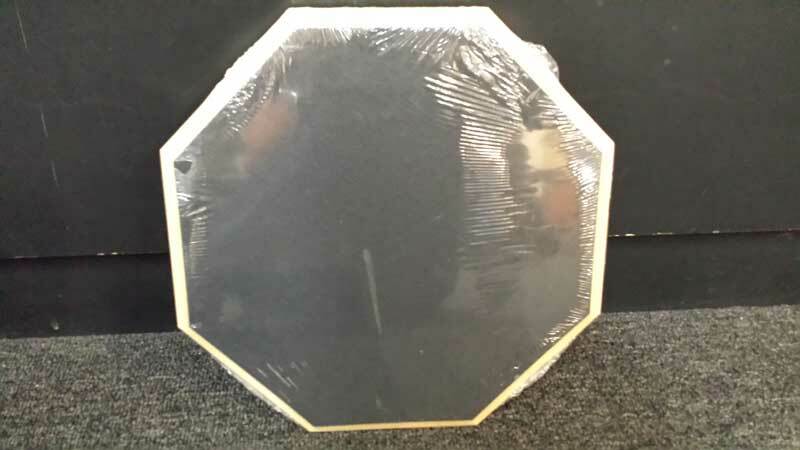 We offer many different practice pads, each with their own features and design. Today we’ll highlight a few or our favorites. 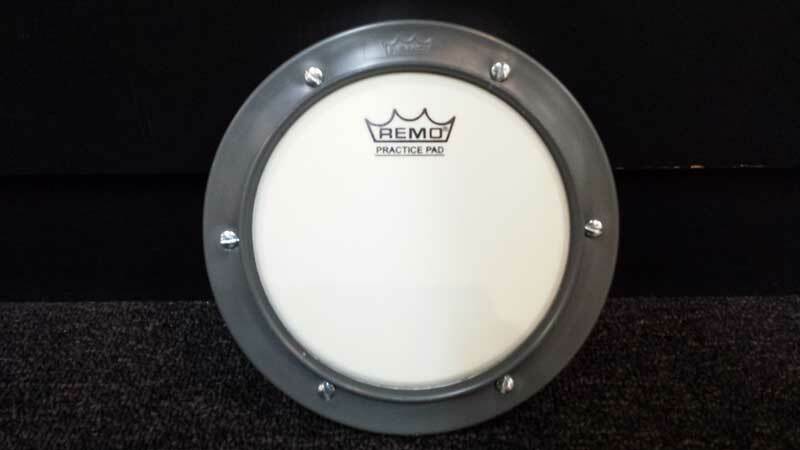 Remo has been making their Tunable Practice Pad for several decades. 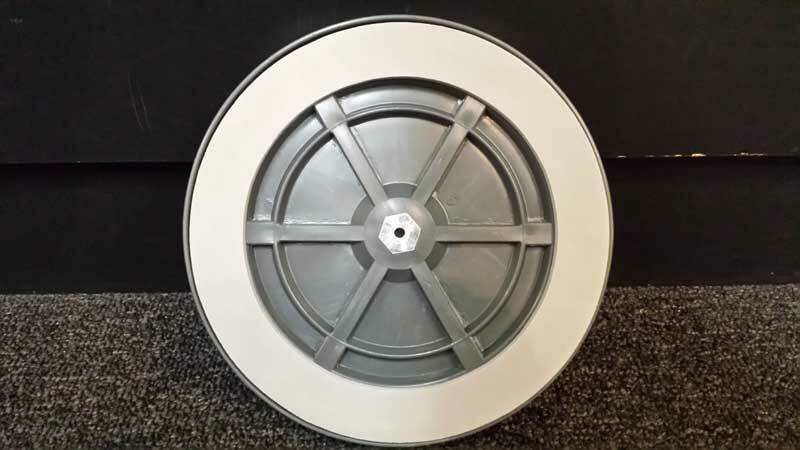 Available in six, eight, and ten inch diameters, it features a real Remo drum head over a foam surface. You can easily adjust the tension on the plastic rim with a flat head screwdriver to change feel of the pad. The bottom of the pad is covered with rubber for use on surfaces and includes a nut for mounting on a stand. We recommend the Remo Tunable Practice Pad for drum set drummers, orchestral/concert percussionists, and beginners. 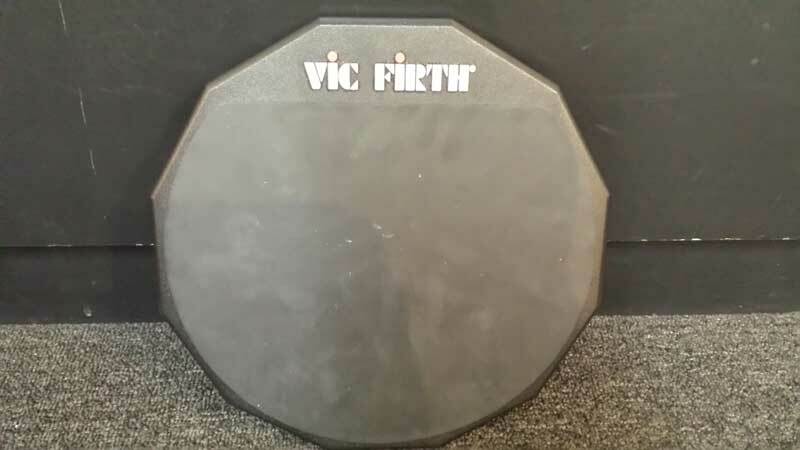 Vic Firth’s 12” Double Sided Pad features two different rubber surfaces. The soft rubber side is for quiet practice, while the louder, hard rubber side is useful for strength development. With its twelve inch wood frame the pad can be set on a snare drum during use. 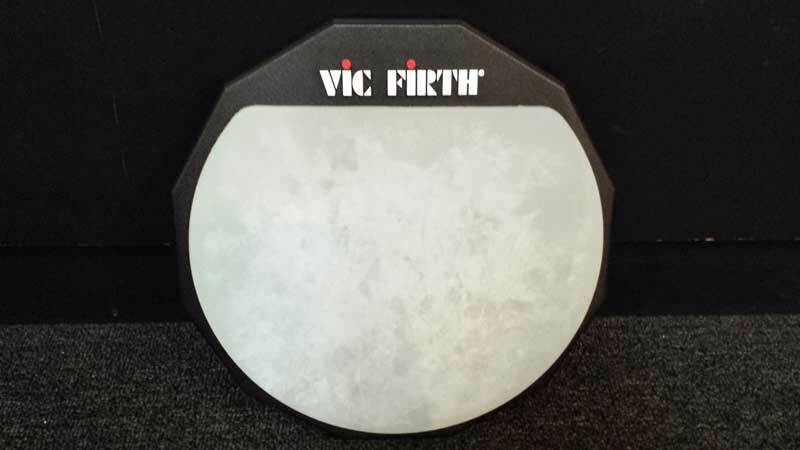 We recommend the Vic Firth 12” Double Sided Pad for all drummers and percussionists. 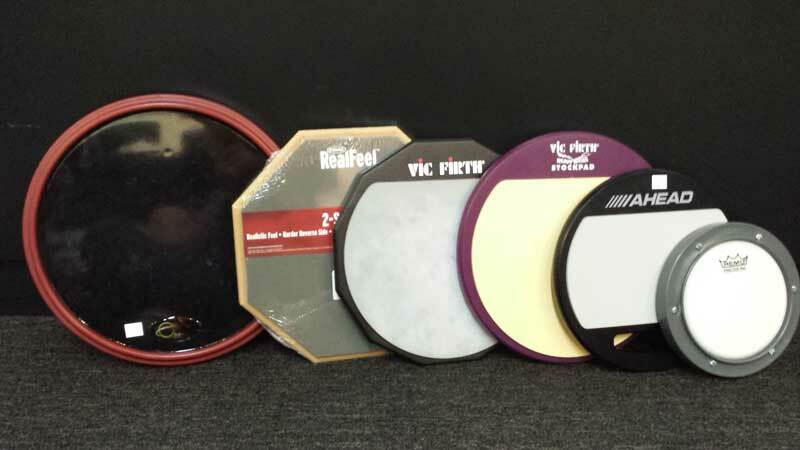 For marching drummers, Vic Firth offers the Heavy Hitter Stockpad and Slimpad. Both are twelve inches in diameter and have a single rubber surface. 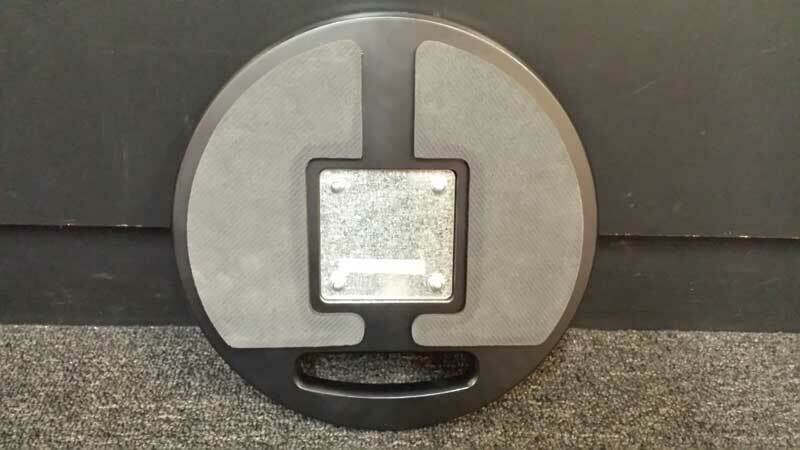 The Stockpad’s rubber surface is 3/16” thick, while the thinner, 1/8” thick surface of the Slimpad is designed to feel more like a high tension marching snare. Consider adding a laminate, an adhesive backed piece of plastic, to both pads to increase their articulation and simulate the response and feel of marching drums. 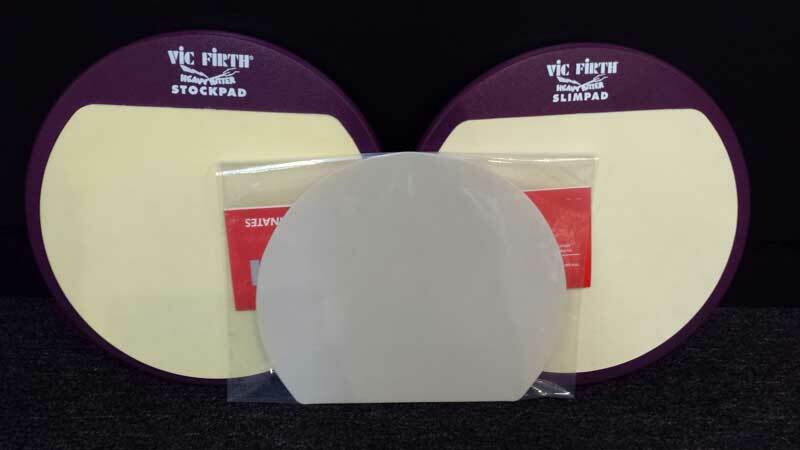 We recommend the Stockpad for all drummers, and the Slimpad for marching drummers. Evans’ RealFeel 12” 2-sided Speed & Workout Pad also features two rubber surfaces. The soft gum rubber surface is coated with a unique dark gray fabric finish to increase its durability. The other side is a hard, black rubber. 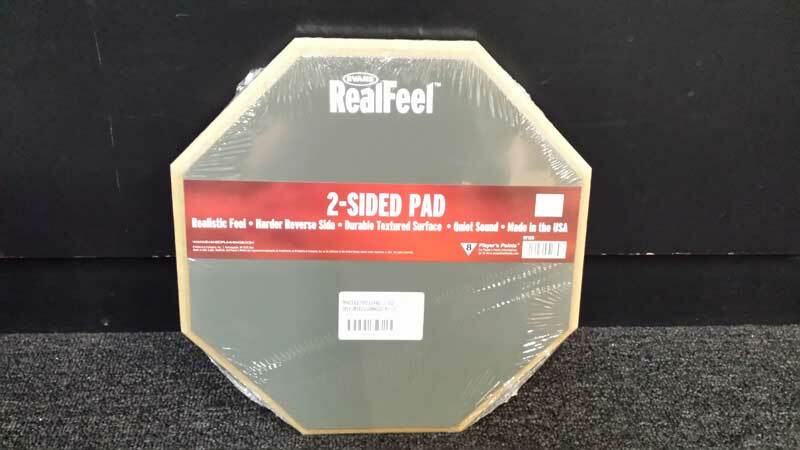 We recommend the Evans’ RealFeel 12” 2-sided Speed & Workout Pad for all drummers and percussionists. 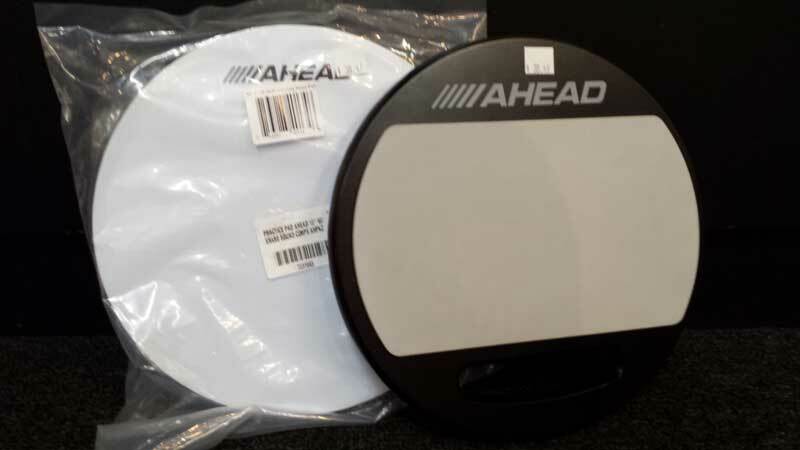 Marching drummers should also consider the Ahead 10” Snare Pad and Corps Snare Pad. Both are ten inches in diameter and include a unique mechanism that quietly simulates the sound of a marching drum. The Snare Pad features a soft, grey gum rubber playing surface. The Corps Snare Pad features the same gum rubber, but with a hard coating to replicate the feel of a marching snare. We recommend the Snare Pad for all drummers, and the Corps Pad for marching drummers. With so many choices, it can be confusing to find the right practice pad. We hope this will help you make an informed decision. Need more guidance, or are you ready to make a choice, contact us!